Walgreens launches an online marketplace to help customers find healthcare services at their local stores; and from provider partners that include brick-and-mortar health systems, and urgent care and lab-testing facilities. Tech-based providers include telemedicine vendors MDLive and DermatologistOnCall, and app-based house call company Heal. The marketplace will no doubt boost business for its partners, given that the Walgreens app sees 5 million visitors each month. Aside from Baptist Health (FL) and UnitedHealth’s MedExpress, it seems all of the marketplace’s providers are on Epic. Walgreens began transitioning its Healthcare Clinics to Epic in 2016. ACO management company MedLink Advantage will offer its customers access to The Garage’s population health management software and services. Modernizing Medicine adds electronic prior authorization, real-time prescription benefit, and inventory management capabilities from Surescripts to its EMA EHR for dermatologists. PatientPoint adds educational content from Migraine Again to its digital content for patient waiting rooms. The companies will soon offer similar content for exam room touchscreens. The Delaware Health Care Commission seeks provider applicants for 10 grants of between $25,000 and $250,000 each as part of its State Innovation Model initiative. Applicants must be willing to launch pilot projects aimed at increasing data integration, improving care coordination, and/or transitioning to an Alternative Payment Model. Applications are due August 30. An AMGA survey of 270 medical groups finds that physician productivity and compensation lagged in 2017 – the first year in over a decade that compensation increased by less than 2 percent. Productivity across all specialties decreased by 1.63 percent, while compensation increased by just under 1 percent. Primary care providers saw similar percentages. The study’s authors point fingers at the typical culprits – burdensome EHRs, and administrative and compliance efforts. 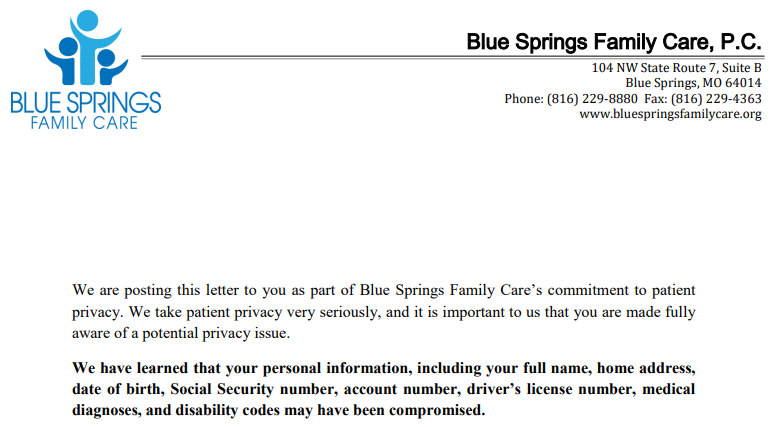 Blue Springs Family Care (MO) notifies patients of a May 12 ransomware attack and its efforts to prevent similar attacks in the future, including the installation of a new firewall and the transition to a new EHR with stronger encryption capabilities. 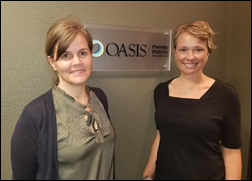 Privacy Officer Melanie Peterson told me that the practice’s switch from EMDs to EClinicalWorks coincides with a transition to new ownership.